Four hours of compelling and breathtaking footage out of the wilderness of Alaska. No Internet. No phone. Not even daily mail service. Follow four families as they turn their backs on civilization to live out their dreams as modern day pioneers in the harsh Alaskan wilderness. 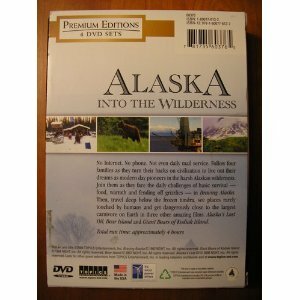 Join them as they face the daily challenges of basic survival food, warmth and fending off grizzlies in Braving Alaska. Then, travel deep below the frozen tundra, see places rarely touched by humans and get dangerously close to the largest carnivore on Earth in three other amazing films: Alaska s Last Oil, Bear Island and Giant Bears of Kodiak Island. 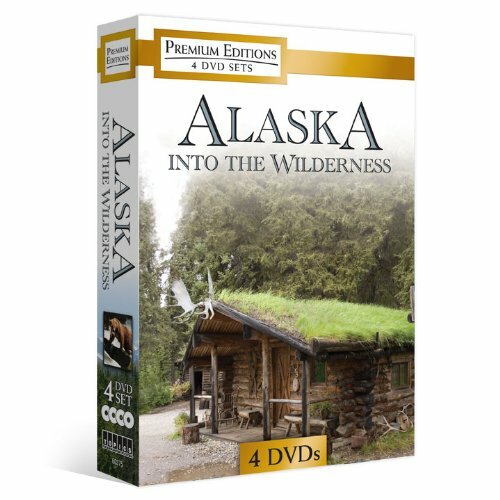 Travel to the depths of America s last frontier the Alaskan bush and witness the power of survival from the frontlines of the wilderness. Follow four families who have turned their backs on civilization to fulfill the dream of living off the land and are facing the dangers that go along with it hunting for food, staying warm and fending off grizzlies. But is pure will enough in a place where temperatures regularly plummet to 50 below? Experience the true pioneering spirit in these remarkable people who are Braving Alaska. Go where even the most skilled hunters dare not venture with researcher and four-time bear-attack survivor LaVern Beier as he walks into the deepest corners of the Alaskan wilderness using the unique Crittercam. The majestic Alaskan brown bear is the largest predator in southeastern Alaska, but as the modern world closes in, the great bear s world is shrinking. Watch as Beier uses cutting-edge technology to protect this extraordinary species in Bear Island. Go inside the world of extreme drilling as oil companies search for new sources of black gold in the Last Frontier. As the easy pockets of oil disappear, the race is on to find new sources and nowhere is the battle more intense than in Alaska, home to the Arctic National Wildlife Refuge, America s largest wildlife preserve. Find out why companies are pushing to drill here and how far they are willing to go to get Alaska s Last Oil. Meet the largest carnivore on Earth: the great Kodiak Bear. Travel to Alaska s Kodiak Island where 4,000-foot mountains rise up along hundreds of miles of jagged coastline. Hike these ancient feeding trails where bears as big as 1,500 pounds gorge on berries and roll down salmon-rich rivers past cubs learning to fish. Renowned wildlife filmmaker Wolfgang Bayer even takes you inside a den! Plus, witness dramatic home videos of dangerous tourist encounters with these amazing animals in Giant Bears of Kodiak Island.